What's so great about this for me, besides the fact that I voted for The King of Comedy, is that this was considered such a huge flop at the time, even though it's obvious now how brilliant it was. 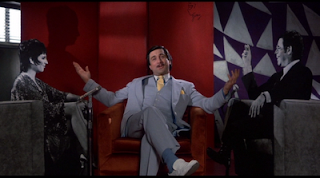 Maybe the best part about DeNiro's performance is how you just know there's a huge reservoir of anger and violence just under his eternal optimism. You know he's gonna snap, you just don't know when or how.